Well, sort of. 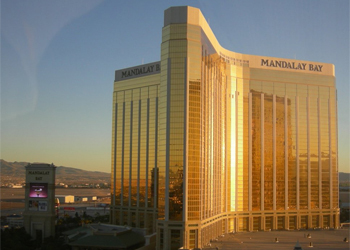 Tickets for the UFC’s historical centennial event actually sold out weeks ago, however the organization has announced they will be hosting a closed-circuit feed of the show outdoors at the Mandalay Bay Hotel & Casino in Las Vegas, Nevada. For the first time ever, the UFC will be providing a limited number of $50 tickets to party and watch the entire fight card at the Mandalay Bay Beach. The hotel will broadcast the pay-per-view event on an LED video wall above their exotic 11-acre tropical pool. UFC 100 will be featuring two title fights, including UFC welterweight king Georges St-Pierre against top contender Thiago Alves, and UFC heavyweight champ Brock Lesnar looking to unify the title against interim champ Frank Mir in the night’s main event. Tickets will be available via Ticketmaster.com, UFC.com or MandalayBay.com starting today at noon PT.